Construction timetable remains unchanged, with completion scheduled for August 2021. Utah's funding plan for the expansion of Rice-Eccles Stadium requires $35 million in donations. Half of that amount arrived in one delivery Saturday. 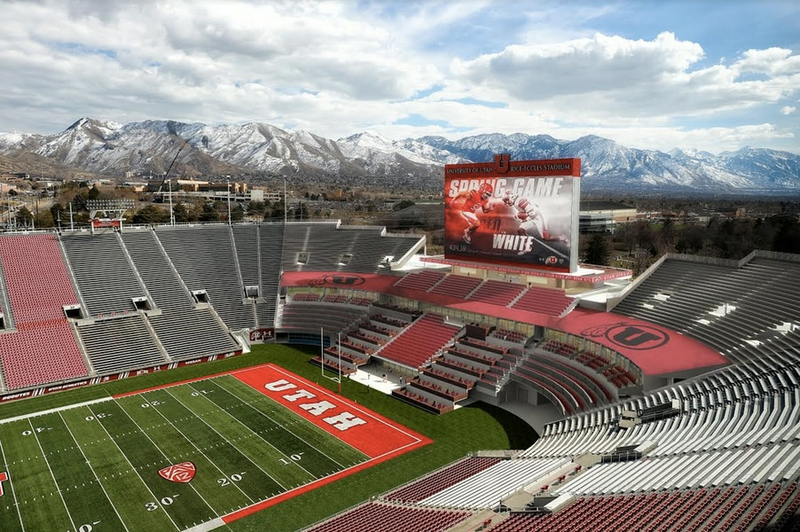 The Ken Garff family's gift of $17.5 million is the largest in Utah Athletics history, university president Ruth V. Watkins said during a news conference prior to the Red-White spring football game. “This really cements this project and makes it an absolute reality,” coach Kyle Whittingham said. The school now has pledges for $32 million for the south end zone renovation, athletic director Mark Harlan said in accepting what he labeled “a transformational gift.” The remaining funding of the $80 million project will come from “various revenue sources,” the school said, notably a bond that is projected to be repaid after 14 years. The timetable remains unchanged for what will be named the Ken Garff Performance Zone. Construction is scheduled to begin after the 2020 football season and be completed in August 2021, in time for the following season. The school has issued a request for proposals to prospective contractors, Harlan said. The working number of seats in the expansion plan is 5,144. The current listed capacity is 45,800 and the Utes have sold out 57 consecutive football games. The increase will come from 1,000 bleacher seats in the corners and the rest via premium seating – including terraces on each side of the goalposts, loges, suites, club seats and rooftop seating. The south bowl will be enclosed, enabling fans to walk around the stadium.